Billy Starfire and the Orbit Boys is a four-organism band made up of enigmatic leader Billy Starfire, the Abominable Funky Man Seth Verdot, guitar owner Jason Musser, and Tor, the Evil Robot. Terrestrial influences on the band's music include Brian Eno, Japan, Kraftwerk, the Bob Newhart Show theme, and Ice Cube. the second big hit-packed album by Billy Starfire and the Orbit Boys. Starts off with Billy's hard-rocking rant, School Tax, and goes on after that for over a half hour! 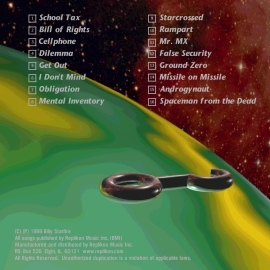 You'll get the anti-left-handed rap classic, Bill of Rights, the cryptic title track, two stirring vocal performances by the Abominable Funky Man (Mr. MX and Spaceman from the Dead), plus eleven more songs in which Billy spans the entire emotional range from simple irritability to pathetic desperation. "A triumph!" Click here to buy from iTunes, amazon, or Google Play! 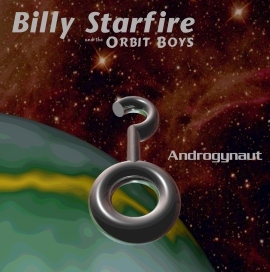 Billy Starfire and the Orbit Boys hit the studio full-force with this album containing sixteen fresh tracks digitally recorded and mastered. Contains the selections Train Station, Honk My Horn, My Love Lives on Neptune, the controversial Crusader, plus the title track and more. Click here to stream the whole album! 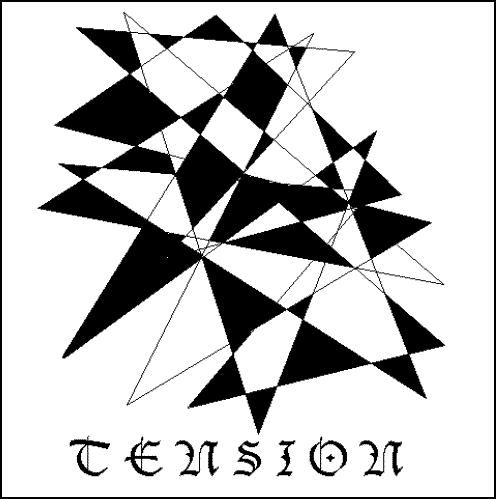 Billy Starfire's first album, filled with pulsating rhythms and hypnotic synthesizers.